We offer a variety of different photography services. If something is not listed below, do not fear, we work many different types of events and will be happy to accommodate your request. Looking for somebody to take photos at your event? Well, you’ve come to the right place! We offer several different packages. Event photo packages usually consist of candids, group shots, environmental stills, and special requests. Don’t be afraid to ask questions about different things we can do, we will do our best to accommodate your request. In addition, photo montages can also be created with your photos. Check out the photo gallery link above for some examples of our work! 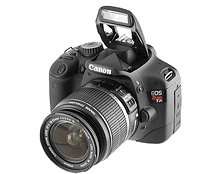 The new flagship of the EOS Rebel line, Canon EOS Rebel T2i brings professional EOS features into an easy to use, lightweight digital SLR that's a joy to use. Featuring a class-leading 18.0 Megapixel CMOS Image Sensor and increased light sensitivity for low light photography, the EOS Rebel T2i also has an advanced HD Movie mode for gorgeous Full HD movies. 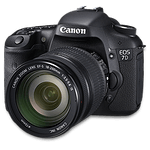 Since its introduction, the Canon EOS 7D has become one of the most popular APS-C EOS DSLRs. With a host of features designed to enhance every facet of the photographic process, from still images to video, the EOS 7D represents an advanced class of camera. Made to be the tool of choice for serious photographers and semi-professional. Empower your creative vision with editing options for every user level, and turn ordinary snapshots into something spectacular. Easily organize, edit, and create brilliant photos to share via print, the web, Facebook, and more. And now, take your Elements photos with you, wherever you go, on your smartphone or tablet. Aperture gives your photography the professional treatment it deserves, with more sophisticated tools to perfect your images and powerful ways to browse and choose your best shots. And now that Aperture is optimized for the MacBook Pro with Retina display, it’s a whole new way to see everything.